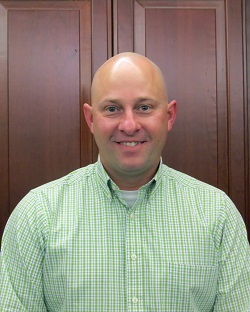 Michael Goodall has been appointed a Regional Sales Manager covering the area of Northern Ohio and Michigan for Dorner Mfg. Corp. In this new position with Dorner, Goodall will be working with sales channel partners and key accounts to grow the company’s industrial and sanitary conveyor business, as well as focusing on the automation markets throughout both states. Goodall brings nearly 20 years of industry experience to Dorner. He most recently held the titles of sales manager of specialty belts and components, and sales engineer for the timing and seamless belt division at Habasit, a manufacturer of conveyor belts. Goodall was also a general manager and account manager at Applied Industrial Technologies, an industrial distributor serving MRO and OEM customers.